Two al-Qaeda hostages, an American and an Italian, were killed in one of January's many air strikes. A former drone operator and USAF veteranBrandon Bryant said"the drone operations and even distance operations are probably the most dishonorable type of warfare we can create..."
RT:Hundreds of civilians have been killed by US drone attacks, but it took the killing of Westerners for Obama to express his regret. Doesn't he care about the Pakistani civilians who died in his drone strikes? Ivan Eland: The accidental killing of an American has a political problem in the US. Often times US military kills people whether it is via drone strikes in Iraq, in Afghanistan, Pakistan, Yemen, and other countries. The military doesn’t keep track of civilians, or it says it doesn’t. It keeps meticulous track of its own people getting killed or other armed forces that are allied with it. But for some reason it doesn’t publicize how many civilians are killed. I think the military probably does have estimates about how many civilians they are killing not only in Afghanistan and Pakistan, but other theaters of the war on terror, but they don’t release them because that undermines their military activities in the American public’s eye. Therefore, they don’t want to focus on that. But when there is an American killed, it is a different story because the family can bring pressure and publicity. So the administration wants to get out ahead of that. RT:Will this incident lead to changes in America's drone-strike strategy? IE: I don’t think it will affect much. Obama has reduced drone strikes; he was intimating that he was not going to do them anymore. But the real problem with this is not the Americans that are killed so much as that civilians overseas... This is counterproductive because the more civilians you kill the more al-Qaeda or other radical militants you create. People feel that they were unjustly killed even if they know that the US is trying to go after militants. And a lot of the people in Pakistan probably don’t even recognize that fact - they just see the missiles raining from the sky. Many military analysts are skeptical that you can kill your way out of an insurgency. I wrote a book, The failure of counterinsurgency, and that is one of the things I mention in the book - if you try to kill whether it’s with drones or with troops on the ground you end up killings civilians even if it is just accidently and therefore you breed more terrorists. So it is in many cases counterproductive to use this harsh technique, especially when all the good targets are probably pretty much gone by now. RT:Washington says the same strike that killed the hostages also killed one of the most senior al-Qaeda leaders. 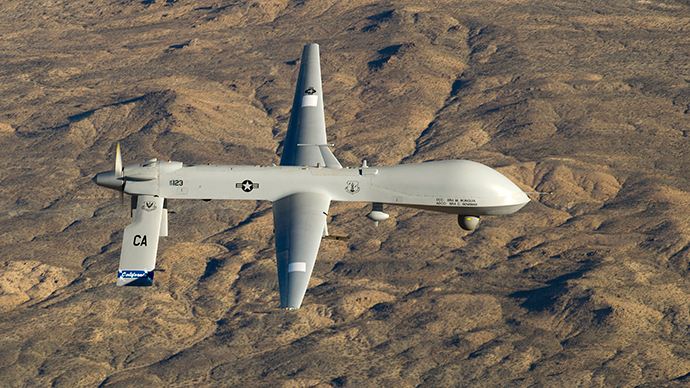 How effective is the US drone program? IE: That’s a goal that everybody keeps trying to get, to kill high-level people. But even if you kill high-level people, the problem with warfare is that it’s a hot house of evolution, the most ruthless people survive and rise to the tops. So if you kill that guy, you may get a more radical chief later because he survived and he is better about the killing of the other leaders, or whatever. The killing of leaders does help in the short-term and it undermines the organization ... but in a long-term I’m not sure killing is the way out of these things, is the way to go- you really have to deal with the underlying causes of the problem in the first place.